With a normal gamer, just two buttons left, and scroll buttons are enough, but some high-end models are also equipped with buttons on the side for quick support for those who need it. Hence, this article is a recommendation for the list of best gaming mouse 2019, which will support you a lot to have good experience while playing or working. The diversity of computer mice now gives consumers a wide-range and flexible selection. Among all, Logitech, Razer, Asus, Steel Series are the “hot” brands at present. Read it out to choose the best mouse for gaming. Although there is only a simple tool with a sensor on the bottom and two left and right buttons and rollers, there are hundreds of combinations and different styles. G900 series is a high-end and high-tech gaming mouse introduced in 2016 by Logitech. It is widely, then, regarded as the king in category of wireless gaming mouse. The latest addition to this series is the Logitech G903 LIGHTSPEED simply lengthening its great success. With the ease of keypad replaceable ability, G903 offers the great customization for both left and right-handed users. On the right side of the mouse, back and forward buttons are located. This design brings a more comfortable feel for the user. Indeed, majority of consumers will enjoy a better using feeling with G903 thanks to its slim design for the back. Meanwhile, the front of this mouse share an USB port, which can be used to plug the cord in. That means you are able to recharge the battery when power is down without interruption of using. In case you do not feel convenient when using the cord to recharge your mouse, a touchpad, separately old, will help you execute the problem. This is product of POWERPLAY technology, which allows the mouse charged wirelessly. It is absolutely a big highlight on Logitech G903 Lightspeed mouse. The Logitech G903 Lightspeed mouse is equipped with the PMW3366 sensor technology, one of the most accurate sensors in the world at the moment. The excellent DPI sensitivity up to 12000 allows you to use the mouse for both gaming and business purposes easily. Since it is one of the best and most expensive gaming mice at present, there is no surprise that G903 owns an RGB LED system and several programmable buttons. These functions can be controlled with Logitech Software. Equipped with the Pixar PMW3366 – one of the best optical sensors in the world today. Supports wireless charging with PowerPlay technology, eliminating the worry of running out of battery while playing games. Easy to switch between wired and wireless modes. Use the new generation Omron Switch with a lifetime of 50 million clicks. No Bluetooth connection must be connected via wire or USB Receiver. ROG Spatha is equally impressive in its size and weighs in at 175 grams. The product is suitable for users with large hands. The hind legs move to the right side while the left hip is hollowed into the millet. Besides, most of the mouse’s function keys focus on the area around the thumb position, so it only fits into the right-hand user. Technically, the ROG Spatha features a laser sensor with a resolution of up to 8200 dpi, a polling rate of 2,000 Hz when connected via USB or 1,000 Hz over a wireless connection. This improves signal response speed, precise mouse control, and smooth moving mouse pointer. The following table shall help you compare this type of mouse to other ones. The G703 uses the Pixar PMW3366 optical sensor. This is one of the best sensors on the current gaming gear market. The battery life of the mouse falls to about 20 hours of continuous use after the full charge if the LED is turned on. In general, a rechargeable battery can provide about 2-3 days of gaming experience. This is one of the few Logitech gaming mice to support the PowerPlay wireless charging technology, which helps to clear out battery fires while on the move. Of course, to use the PowerPlay, you need to have a Logitech G PowerPlay mouse pad and replace the PowerCore pad with a mouse pad. Be equipped with the Pixar PMW3366 – one of the best optical sensors in the world today. Support wireless charging with PowerPlay technology, eliminating the worry of running out of battery while playing games. The design is identical to G403. No Bluetooth connection must connect via wire or USB Receiver. The SteelSeries Rival 600 is featured with an ergonomically designed right-handed user interface. It is entirely different from the previous Rival 310 or Rival 700. The mouse head is taller and shorter. The cover is composed with a thin non-slip rubber (except for some LED-specific parts or a removable seat), this layer is quite ‘sticky’ and difficult to peel, and making it feels soft and sticky. However, for those with sweaty hands, this coating is quite hateful because it creates a feeling of ‘stickiness’ if it is less hygienic! Two left-click buttons, with a separate bezel from the body of the mouse, have a similar design on the Rival 310, making the mouse click more smooth and soft. With the tracking sensor TrueMove 3 (modified from the Pixar PMW3360), it is clear that the Rival 600 makes perfect accuracy in the game. The LOD of the mouse is customizable through software. For many perfect gaming mice like this, users also detect some limitations, what are they? The Logitech G900 Chaos Spectrum is equipped with the Pixar PMW3366 sensor, which can be considered as the most advanced sensor at present for accuracy. It seems that only Logitech is using this advanced sensor. It does not have an impressive speed at the DPI (just 12000 vs. 16000DPI on the Mamba 5G), but the most significant point of this sensor comes from the way it works. In other words, the PMW3366 removes the unwanted vibration from the user, and recognizes actual motion commands “. Thanks to this, the precision that this sensor brings is fantastic. Is this high-end sensor worth the cost you spend on Logitech G900 Chaos Spectrum? The first thing is the ability to change the mode of the scroll, which was once present on the Logitech G-Series models. With just a push of a button, the scroll will rotate as if there was no pause preventing it. The second unique feature is the ability to replace the side buttons on the side. This seems to be a new trend in high-end and mid-range gaming mouse products, most notably the Roccat Nyth range. 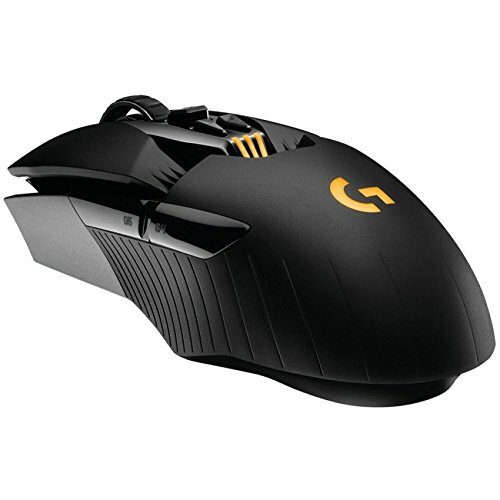 Like other gaming products, the G900 will be managed inside the Logitech Gaming Software. Here, you can control the speed, mode and shortcut buttons for your mouse. The casing is designed as a modern Lamborghini, P1 supercar, but the weight is quite light. Symmetrical design is suitable for left- or right-handed users. The perfect button set makes the G900 suitable for all types of games from MOBA / ARTS to RPG / MMORPG. Owned by Logitech’s famed wireless technology – but with a high-quality wire-wrap. Pixard PMW3366 high-end optical sensor with 32-bit internal ARM memory, 40G acceleration. The battery is small but long enough. There is no separate charging unit. Basilisk is a brand new Razer mouse and an ergonomic gaming mouse. Unlike the Death Adder or Naga, it is not eye-catching, a bit rough and less impressive. Basilisk still owns what Razer features with its solid three-head logo on the back of the mouse, with the Chroma light and the DA Elite or Lancehead TE. The Basilisk’s form is ergonomic, and its dimensions are ideal with 124 mm, 75 mm and 43 mm. The weight of 107 grams, the feeling of holding and picking up Basilisk is quite similar to the feel of DA Elite and slightly heavier than Lancehead TE. The Basilisks is very stable and stick to the pad. 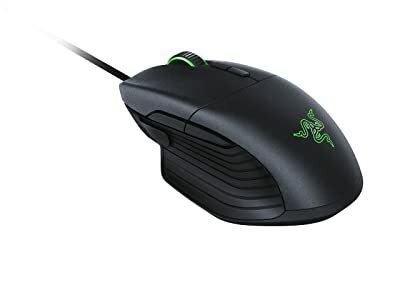 This Razer’s mouse has long-lasting, extensible fiber wrap which is not too thick and not too soft. This mouse is also equipped with a gold-plated USB connector for better signal quality. The Basilisks are fundamental with two Back / Forward buttons at the thumb position. There are two buttons to increase or decrease the DPI between the two main mouse buttons. 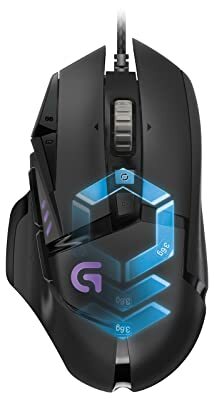 So, it’s not hard to find the good computer mouse for gaming, right? Synapse 3.0 software is not yet complete. One of Logitech’s most successful products is the Logitech G502 Proteus Spectrum Gaming Mouse. 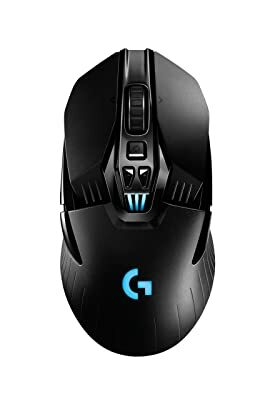 An updated version of its predecessor the G502 Proteus Core, this amazing gaming mouse inherits all the best from its predecessors such as the bold design, the advanced Pixard PMW3366 sensor. At present, the number of buttons is up to 11 and can be easily customized with the dedicated support software from the company. If other Logitech mouse games like the G403 or G603 are known for their soft curves, the G502 impresses the user with its sharp, sharp edges and cutting edge. The product is designed for the right-handed people with the mouse body slightly higher on the left, bringing the comfortable feeling for the user. There are two different memory setting system for this mouse. Users can choose either the memory of the mouse or the memory of the computer to install suitable settings. Imagine how convenient it could be if you regularly bring your mouse away. There will be no need to reinstall on other PCs or laptops before using. Thus, we will primarily analyze this possibility of the G502 Proteus Spectrum. Nice design, and comfortable to hold. The buttons are arranged intelligently, and software offers many choices. 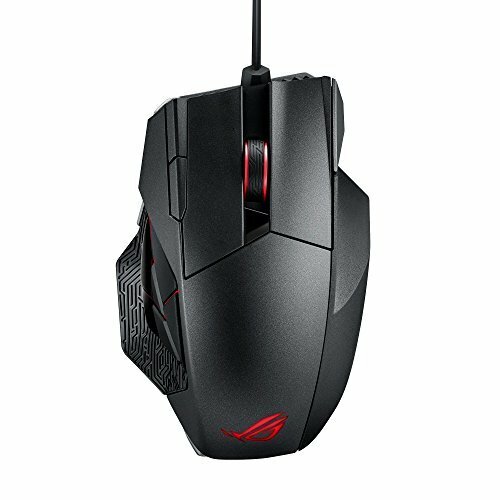 How to choose the best gaming mouse which is suitable for our budget and demand? Which factors should we focus on? Find the following guides. In the above statement, I introduced to you the products from Logitech, Razer, Asus, Steel Series. If Steel Series focuses on the mass market, the other three are mostly high-end products with more powerful features. With the price of more than $200: Logitech G903, ASUS ROG Spatha RGB are the ideal choices for the high-end product line. For more common ones, the other products are widely selected by gamers because of their cheaper prices. Regarding connectivity, wired mice are traditional ones which have appeared for a long time. Their advantages are the stability, longevity and relatively low price. However; occasionally, it will cause the player to go crazy because of the troublesome routing mess. To limit the inconvenience, wireless mice were born. This product offers a lot of usability and speed. About the secondary buttons, this is the point that makes the mouse different for gamers. The key factor for you to become an unbeatable gamer is speed and accuracy. To save time when in battle, people often assign the keyboard shortcut. But what if the buttons also appear on the mouse body? This is so wonderful, isn’t it? In terms of size, there are now so many different styles and sizes for gamers to choose. There is no specific factor to judge by this, depending on the preferences of the user. The key features like the convenience, accuracy, and longevity should be integrated into a good gaming mouse. The game market is also incredibly diverse, but with the main titles are the following three categories: online role-playing game (MMO), first-person shooter (FPS) and real-time strategy game (RTS). 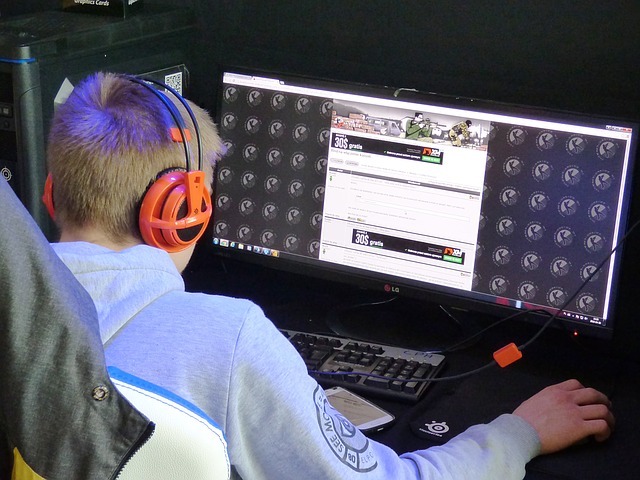 With the online role-playing game, gamers will assign each of the moves numbered from 1 to 12. Mouse habits directly affect the feel and convenience of use. Palm grip: This is the most traditional use; users often put both hands to grab the mouse. If you belong to this type of user, you should choose the type of mouse which has a long body and even weight distribution. Claw grip: This is the habit of holding the mouse exposed by 6 points, including 5 fingers and a little on the palm, the mouse click will create a dome. By this use, you should choose the large mouse; the base is higher than 3 cm with the elongated shape. Not only can a tiny move affect work as designer or gamer but also the sensitivity of the mouse is critical. The mouse sensitivity is measured in dots per inch (DPI). Midrange or high-end mice have a sensitivity of about 1200DPI or higher. There are several types of mice you can adjust the sensitivity on the mouse that users do not need to open the control panel. This is great if you want to adjust sensitivity quickly while playing a game or designing. The most common support button is the mouse button. This lets you browse the web faster for articles or information which is longer than one page. Some mice also have extra buttons to help users not to do back / forward manipulation or copy/paste button on the keyboard. Many gaming mice also include a button set, which supports the use of skills in action/strategy games. Each mouse which is used with the right purpose shall bring the maximum benefit. 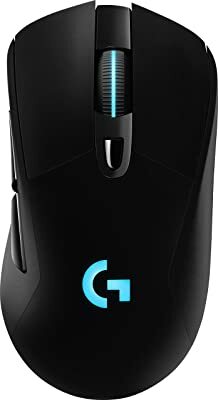 Hope that for those who are finding the best gaming mouse in 2019, the list as suggested above and gaming mouse reviews in the article will help you choose the most suitable gaming mouse. A professional gaming mouse can help you get exciting experience and confidently show your personality.